You've decided that you no longer want responsibility for maintaining and supporting your ERP system in-house. That's a wise choice—and one that reflects the ever-increasing numbers of companies moving to the cloud to focus more on their business instead of their IT infrastructure. But buyers beware: Not all hosted software offerings marketed as "cloud" are true cloud solutions. Recognizing a lucrative chance to create an additional revenue stream, many on-premise vendors are trying to pull the cloud over your eyes by "cloud-washing" their applications. So how can you tell a true cloud solution from a fake one? And, more importantly, why should you care? Who's Running the (Server) Farm? True cloud vendors design their solutions from the ground up for the cloud. They code their software to perform better as a fully hosted solution and build talent and expertise around hosting, maintaining, and managing the software across hundreds of servers and across multiple levels of data redundancy in their own multi-tenant cloud environments. Despite what fake cloud vendors will tell you, multi-tenancy matters. For example, with a true cloud provider, all customers typically access the same solution from the same cloud. This gives customers continuous and instantaneous access to the latest product upgrades. The best cloud vendors also provide a customization platform that allows you to not only customize your application on their platform, but ensure that all of your customizations continue to work when a new product enhancement is rolled out by the vendor. This ensures that you not only get to use the latest functionality without delay, but that you do not need to constantly re-implement customizations and integrations you previously had in place every time a new product version comes out. Now take a look at how fake cloud vendors work. 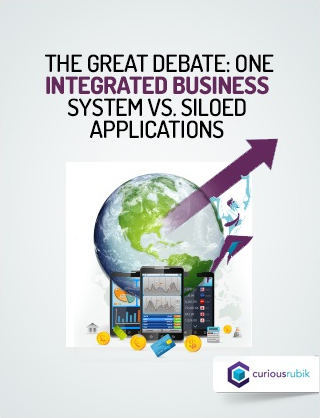 Many ERP systems that are billed as running in the "cloud" were designed to run on-premise. 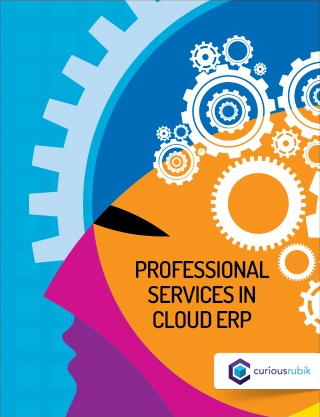 These vendors typically do not host, manage, or maintain these "cloud" ERP solutions. Instead, they turn responsibility over to a local value-added reseller (VAR) or other service provider. This is very similar to how application service providers (ASPs) operated more than 20 years ago, and there's a good reason most of them went out of business. By subscribing to an on-premise ERP application that is simply hosted at another company, you experience many of the same problems and costs as if you were hosting it yourself—only with the added drawback that access is typically slower than if you had the software installed on your own servers, not to mention the need to depend on a third party to address your issues. Delayed and painful product upgrades. When your on-premise solution is hosted by others, you still have to suffer through the same potentially arduous (and expensive) upgrades every time the software vendor releases a new version of its product. In addition, you are also at that hosting vendor's mercy regarding when they choose to roll out the newest solution. Because the vendor will need to upgrade each customer one by one, including transporting past customizations over to the new software, it could take months or even years to get updated and by then, the next version of the product may be around the corner, which is no different from being with an on-premise vendor after all. Costly, unstable integrations and customizations. Integrating a hosted solution with your other applications, either on-premise or cloud, causes considerable hassle and expense and can be unstable because the on-premise product was not initially built for hosting and therefore not intended to be integrated while being hosted. You also will likely have to pay extra to customize the solution to meet your specific needs while being hosted—and then wait for a systems engineer at the hosting firm to do it for you rather than simply servicing yourself. Too much downtime and inadequate security and support. Given their limited headcount and resources, most VARs and service providers simply cannot achieve the same levels of security, privacy, and uptime as true cloud providers can. A simple way to determine this is to ask them about their uptime performance, contractual uptime guarantees, and security and privacy certifications such as PCI-DSS security compliance, EU Safe Harbor certification, and SSAE 16 (SOC1) Type II audit completions. Need to overbuy/overprovision capacity. If you're uncertain of how much capacity you'll need, you'll probably have to over-buy the number of software licenses to ensure you're not caught short; or, worse yet, you under-provision and can't live up to your SLAs with your customers because you "failed" to plan ahead. Concern about financial viability of hosting firm. You also have to worry about whether the VAR or service provider will stay in business as long as you need them. What if they fail? You will need to scramble to find another hosting vendor and move your solution safely, risk losing access to your data, or build the in-house IT infrastructure required from scratch. True cloud vendors are almost always better funded, more financially secure, more scalable, and more reliable than VARs, many of which are operating on outdated business models. Look for a true cloud provider that is profitable, transparent, and demonstrates longevity and stability. You don't have to endure painful upgrades. With true cloud providers, you are regularly and transparently being upgraded to receive the latest innovations and benefits. Because of this, you know you're always running on the latest version of the software and your customizations automatically move over to the latest solution. You get more reliable, secure, and speedy access to your systems anytime, anywhere. Cloud solutions are built to give your team access to systems from any place with web access and their infrastructure is built to provide almost 100 percent guaranteed uptime with fast performance and advanced data privacy protections. Their business success is built on this promise, so if they fail you, their business model fails and they build the best IT operations teams available to ensure this does not occur. In short, their success is tied directly to your success. You can easily integrate with other applications. True cloud ERP solutions can be easily integrated with both cloud and on-premise solutions. You service yourself. You can manage, configure, customize, and maintain cloud applications immediately. No need to hire expensive consultants every time you want to make a change to your application. You get more value for money. A cloud vendor can achieve substantially better economies of scale and pass the savings onto you. Fake cloud providers are trying to blur the lines between true cloud systems and hosted offerings. Yet the advantages they cite for their own systems are those touted by on-premise vendors. When it comes to speed of upgrades and deployment, performance, value, customization, and service, it is simply not much of a comparison.